Many dishes in northern France have been influenced by Belgian cooking. 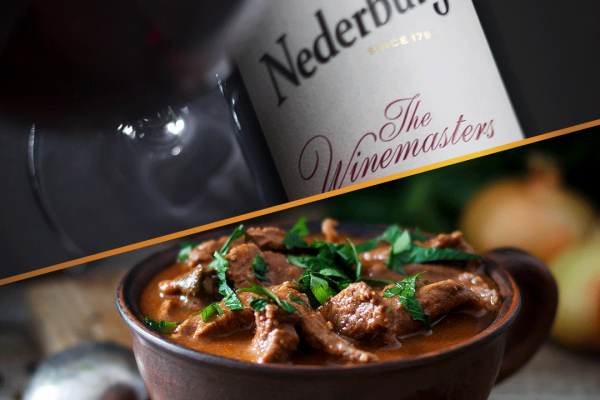 Nord-Pas-de-Calais is one of the great brewing regions of France, so it comes as no surprise that the famous Carbonade of the north is a stew of beef simmered in beer  with a Flemish origin! Preheat oven to 150 ?C. Heat the olive oil in a large, heavy-bottomed casserole. Add the pancetta and cook, stirring frequently, for 5 to 10 minutes until the cubes have crisped up a bit. Add the chopped onions, stirring well so that they are mixed into the pancetta pieces. Turn down the heat to low  stirring every now and again  for 10 minutes, by which time the onions will have softened. Stir in the allspice and thyme, add the beef cubes, and toss and turn them in the pan to lightly brown them. Add the flour and stir to mix. Pour the stock into a large bowl and stir in the mustard and sugar. Then add the ale before pouring this over the stew in the casserole. Stir to mix and bring to the boil. Add the bay leaves and salt, and a good grinding of pepper. Cover with a lid and cook gently for 3 hours in the preheated oven or until the meat is fork tender. Serve straight from the casserole with creamy mashed potatoes and buttered greens or cabbage. It also comes as no surprise that this famous stew simmered in beer is served with a local brew from the region  which is a pity, because Carbonade, in spite of the fact that it is cooked in beer, pairs much better with wine. By the time the dish is ready, the beer that was used as a flavouring agent in the cooking no longer bears any resemblance to the freshly-opened bottle of 3 hours ago! 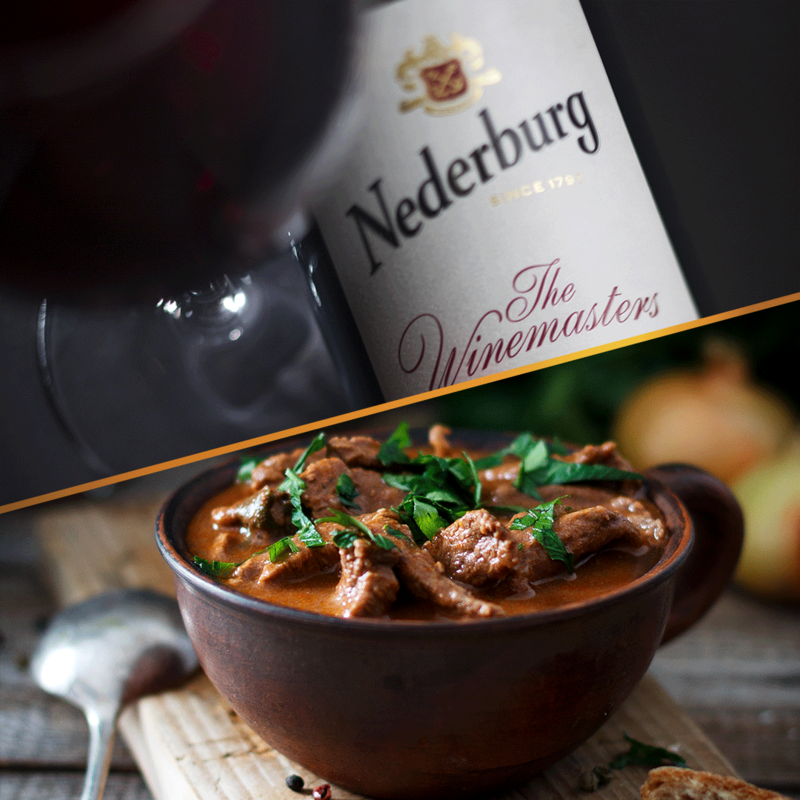 Pinotage from the Nederburg Winemasters range is a perfect match. Not For Persons Under Legal Drinking Age. Drink Responsibly.